The cat is king! And that’s why we have become a certified cat friendly practice!!! With cats being the most beloved pet in the country, there is a growing need to improve the healthcare and overall well-being of the feline population. Whether it’s a routine wellness exam or a special visit, the staff at Downers Grove Animal Hospital is committed to ensuring that your cat receives the best care. To further this dedication, we have recently implemented the Cat Friendly Practice (CFP) program to offer pet owners more at every phase of the cat’s life. The American Association of Feline Practitioners (AAFP) pioneered the CFP program to provide a framework for creating a positive practice environment for cats, including medical care that supports the cat’s unique needs and the knowledgeable staff members who understand feline-friendly handling. 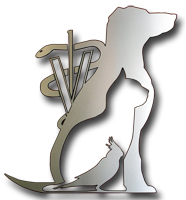 At Downers Grove Animal Hospital we incorporate cat friendly features into the physical environment of the practice including special waiting accommodations, feline-sensitive exam rooms and ward facilities, and equipment appropriate specifically for cats. As the only AAFP certified cat friendly practice in Downers Grove, staff members approach cat care in a different manner. The staff has learned how to understand the needs of the cat and has been trained in alternative techniques to calm an anxious cat and ensure that we minimize anxiety during exams and procedures. We have evaluated every aspect of the practice and its environment from the perspective of the cat, and can proudly say that from the minute they walk through the door, our patients and clients will be a part of a welcoming, comfortable experience that will ultimately lead to the improved health of our feline patients.